Veterinary technicians are heroes. They work very hard to make sure every pet that walks through the doors of Winslow Animal Hospital receives the best care possible. 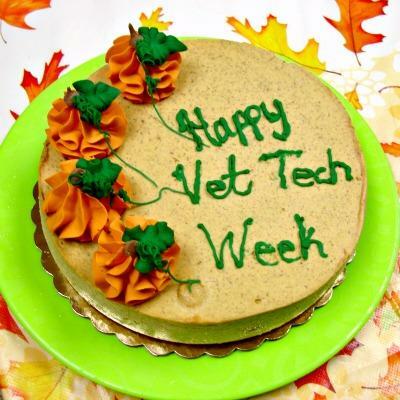 This week, we would like to honor our veterinary technician team and let them know how much we appreciate them! Some of the tasks that a veterinary technician may have to perform on any given day include drawing blood, assisting in surgery, monitoring anesthesia, placing catheters, giving medications and vaccinations, and so on. They sometimes have very difficult patients they need to provide care for, and while we take precautions to keep our staff safe, there are still some risks working as a veterinary technician. Our vet techs are willing to take that risk because they really believe in our motto: caring for your pets as if they were our own! There are a few important aspects of pet care that vet techs can’t do – make diagnoses, perform surgery, and prescribe medications. These tasks are reserved for veterinarians. For many other aspects of veterinary care, technicians are the front lines. They have prepared for the technical aspects of the job with programs that train future technicians in the skills they will need. There are also other challenging aspects of the job – including grief. We really do love the patients who come to Winslow Animal Hospital. All of our staff become invested in patients’ well-being, and the lifespan of many of our patients will be only 10-15 years when things go well. That grief can be a difficult part of the job, so let a veterinary technician know how much you appreciate everything they do! LifeLearn Admin | Pet Health, Staff, What's New at Winslow Animal Hospital!